Maybe you weren’t aware that October 17th is Wear Something Gaudy Day, but it is. Teh interwebs say so. 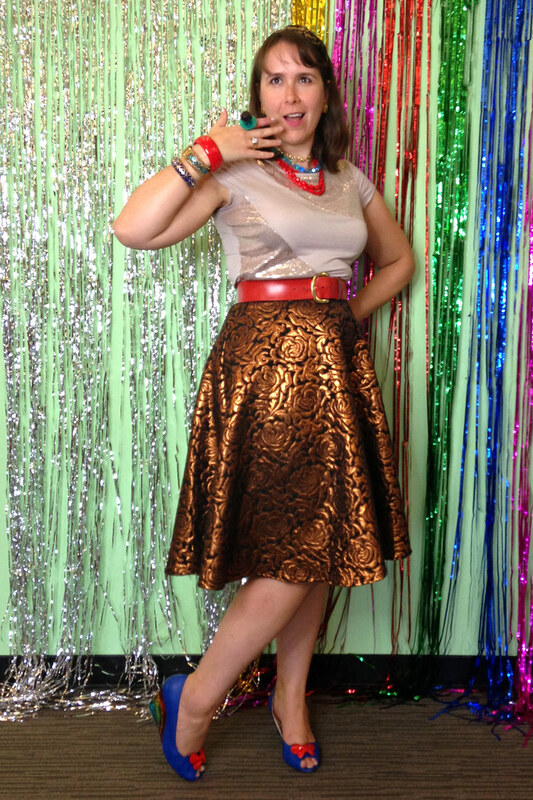 I celebrated the day by tapping into my inner Liberace and donning a metallic copper floral skirt, sequined top, and Rainbow-Brite-inspired shoes. Not to mention sparkly earrings, necklaces, bracelets, and rings. Oh yeah, and a Ring Pop! So what’s your favorite fashion item that verges on gaudiness? Or maybe one that blatantly crosses the line and is all out AWESOME?